Hello again. 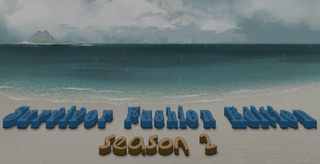 Today someone will be leaving Survivor-Fashion Edition 2. PapaPaparazzi needed to quit the competition for personal reasons. Outwit, outplay and outlast. Survivor-Fashion Edition.